Sharon Lee lives in the rolling hills of Central Maine with her husband, Steve Miller, and two insistent muses in the form of cats and a large cast of characters. Sharon has published short stories, newspaper pieces, and two mystery novels, and, with her husband, has done collaborative work in science fiction and fantasy, including twelve novels and numerous short stories in their award-winning Liaden Universe® series. For five years, Sharon served the Science Fiction and Fantasy Writers of America, consecutively as Executive Director, Vice President and President. Sharon’s interests include music, seashores and pine cones. Read excerpts at Sharon Lee‘s website. 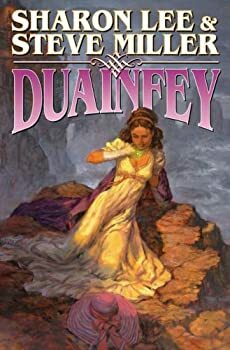 Duainfey & Longeye — (2008-2009) Publisher: Faliance is a world where there is traffic and trade between humans and Fey, elflike beings who control powerful magic. Lord Altimere is powerful, both in influence and in magic. The former because he is the Queen’s most trusted advisor — and, if his plans succeed, her consort as well. The latter because of a secret. He has abducted a human, Rebecca Beauvelley, middle child of the Earl of Barimuir. Even overlooking her withered left arm, she is not a beauty in the sight of humans, but the Fey are attracted to the auras of humans, and Rebecca’s exceeds even the most comely of human auras by a factor of ten. An enchanted collar which Altimere has placed around her neck makes her unable to resist obeying his orders. And each time she has an affair, carefully arranged by Altimere, with one of the Fey, some of their magical power passes through her to Altimere. So it was until Altimere was absent from the court, and Lady Sian of Sea Edge, one of the Queen’s cousins, came for a visit, discovered that Rebecca was secretly a prisoner in her own mind, and freed her of Altimere’s compulsion. Unfortunately, even now that both the Queen and Lady Sian know of Lord Altimere’s plot, he may be too powerful for anything but a large number of other Fey, pooling their magical power, to bring to justice — and since getting Fey to act in concert is like herding cats, the Queen will need some time to cajole and persuade enough of her allies. Iin the meantime, Rebecca must be protected from Altimere — and from herself. She is determined to return home, which cannot yet be permitted. And if she cannot go home, she is even more determined to kill herself! I've heard that Duainfey contains disturbing sexual content. I mention that as a word of warning, in case you're a reader who dislikes that sort of thing. Longeye is the sequel and conclusion to the enjoyable novel Duainfey. Carousel — (2010- ) Publisher: Kate Archer left home years ago, swearing that she would die before she returned to Maine. As plans go, it was a pretty good one — simple and straightforward. Not quite fast enough, though. Before she can quite manage the dying part, Kate gets notice that her grandmother is missing, leaving the carousel that is the family business untended. And in Archers Beach, that means ‘way more trouble than just a foreclosure. See this series at Amazon. Liaden Universe — (1988- ) With Steve Miller. Space opera and romance on a grand scale in a galaxy full of interstellar trading clans. The nationally best-selling Liaden Universe novels are treasured by space opera aficionados for their wit, world-building, strong characterizations, tender romance, and edge-of-the-chair action. CLICK HERE FOR MORE LIADEN STORIES. The Great Migration — (2005-2006) With Steve Miller. Publisher: Centuries in the past, mankind fought a seemingly unbeatable adversary from sector to sector across the Spiral Arm until the war ground to a standstill and the Enemy withdrew. Believing that they had won, the citizens of the galaxy rebuilt. The Inner Worlds, which had escaped the worst of the war’s ravages, became even more insular, while the Rim worlds adopted a free and easy way with law and order. Now, hundreds of years after their withdrawal, the Enemy is back — and this time they’ll be satisfied with nothing less than the extinction of the galaxy. Sword of Orion — (2005) Publisher: Throughout the Free Galaxy, remnants of the fascistic Oligarchy are working to bring mankind back under their cruel and repressive rule. Sixteen-year-old Jerel Telemon holds the key to the weapon that can tilt the balance toward good or evil. The first book of a multi-book series. The Naming of Kinzel — (2011) Publisher: Three stories of power, innocence, and magic. Kinzel the Foolish: Meet Kinzel, ‘prentice to Mad Siljan the herb lady. Not quite the village fool. Not quite. And does it take a fool, or a wise child, to bargain with a unicorn? Kinzel the Innocent: Against his master’s — and his own! — expectation, Kinzel has won a wizard’s staff, and, having done so, he can no longer stay in his master’s house. So, he sets to see the world, finding it as wondrous as the world seems to find him. It’s a good life, but it may be a short one, for Kinzel has made powerful enemies. Kinzel the Arbiter: Two wealthy townsmen vie for the affections — and the gifts — of the grey crow. But to whom does the crow belong? That is the question the traveling wise man Kinzel is called upon to decide. Endeavors of Will — (2011) Publisher: Two decades of fantastic writing. 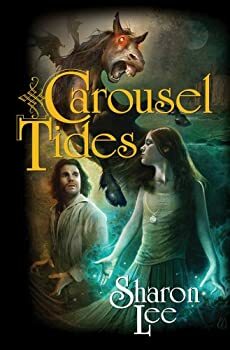 Sharon Lee’s science fiction and fantasy career began in 1980 and since her first professional sale she’s entertained thousands with her carefully crafted fiction. 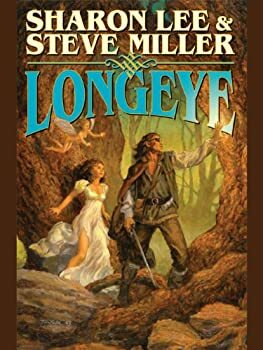 Perhaps best known for the Liaden Universe® stories and novels co-written with Steve Miller, Lee’s solo short fiction is also a treat. Endeavors of Will features eight early short stories — including Balrog Award nominee “A Matter of Ceremony” form Amazing Stories — as well as one of her rare poems. The stories here range from out-and-out adventure to subtle mood pieces. They first appeared in such varied magazines as Star Triad, Amazing Stories, Charles de Lint’s Dragonfields, and Owlflight, as well as Fantasy Book, the SPWAO Showcase, and Times Lost, Worlds Forgotten. If you’re in the market for a highly readable and somewhat unpredictable collection of fantasy and science fiction, with subtle humor, irony, and good story sense, Endeavors of Will by Sharon Lee may well be what you’re looking for! Included in this collection are: Stolen Laughter, The Winter Consort, The Pretender, The Silver Pathway, Stormshelter, The Girl, The Cat and Deviant, A Matter of Ceremony, The Handsome Prince, and the poem Cards. The Day They Brought the Bears to Belfast — (2012) Publisher: The day the bears came to Belfast, Maine, was a magical one for Katy and her brother, Jeremy. But what if the magic raised that day was… real? CLICK HERE FOR MORE BY SHARON LEE.